Innovation is the major key to success in this highly competitive industrial world. Khodiyar Industries specializes in the development, manufacturer and supplier of Pouch Packaging Machinery with the clear objective and innovative technology to emerge as a forerunner in the market. Our machinery is also used in other industrial fields like ayurvedic products, beverages, chemicals and bulk drug and grocery handling units. 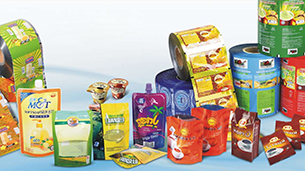 We offer impeccable quality of Pouch Packing Machine made using quality raw material. Our Pouch Packing Machine in India is very popular for its packaging of different type of items such as Pepsi, Noodles, Besan, Kurkure, and other snacks items. KI strives to maintain quality and uniqueness of our products & deliver it within time. Our series of packing machine comprises of Liquid Packing Machine, Water Pouch Packing MAchine, Tablet Packing Machine, Auger Filling Machine and Semi Liquid Filling Machine. We recurrently supply and export FFS Pouch Packing Machine to many countries across the globe. We truly believe that quality speaks louder than words. So we assure our esteemed clients to provide best quality machinery with precise and minute planning. We hold high-tech workshops with most recent tools and systems for the eventual fabrication that helps to cut down production cost to provide ultimate series of machines with cost-effective manner. We provide highly accurate filling machines with + or – 1% filling accuracy. Machines are also provided with necessary safety systems. They are available with advanced characteristics and systems like no bottle no fill self lubrication and perfect pneumatic demonstration and in-built protection for voltage fluctuation. Automatic FFS Machines presents high accurate and clear-cut automation. Machines are manufactured with latest generation technology. All these machines are best known for trouble free, smooth and noiseless performance.